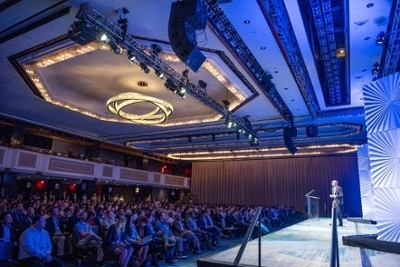 Just 21 days after Blue Prism World New York, London was taken over by RPA practitioners, experts, thought leaders – Digital Visionaries. As we heard in New York City, the impact of technologies like RPA are transforming how people work by creating new, more fulfilling jobs. The key challenge going forward, will be how organizations utilize humans’ unique qualities, in tandem with intelligent digital workers to create mutually successful outcomes. 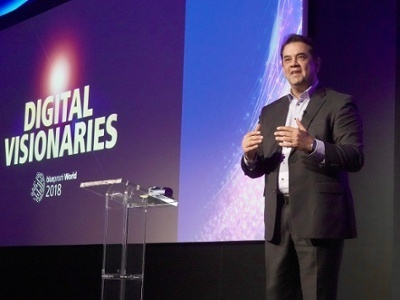 These were some of the key takeaways from Blue Prism World in London as more digital visionaries shared their insights. Industry experts, world-renowned academics and big brand end-users unanimously agree that digital workers are getting smarter, RPA is now about value creation and new opportunities – not job losses, and is significantly improving the customer experience too. Lynda Gratton, professor at London Business School, and global authority on people, leadership and the future of work, believes that we are entering a period that’s even bigger than the industrial revolution driven by technologies including RPA – which promise to create as many jobs as those that will be lost. Phil Fersht, CEO and chief analyst for HfS Research, highlights how automation is needed for digital disruption to generate a better customer experience. And again, our CTO and co-founder David Moss revealed Blue Prism’s vision of building out RPA technology that will drive more evolved, intelligent, digital workers designed to augment and assist the skills of human workers – rather than replace them. While the focus has been to remove the robot from the human, Blue Prism is also helping make humans, human again by introducing human like skills for our digital workforce. In fact, by informing, augmenting, supporting, and assisting people, digital workers are already helping to swiftly deliver greater efficiencies, opportunities and value for shareholders, customers and employees. We are at the forefront of this global digital workforce revolution. Our work with Google, Microsoft, IBM and leading academic institutions is driving innovation, enhancing the capabilities of the Blue Prism digital workforce with the careful application of more adaptive, specific and business-required artificial intelligence and cognitive solutions. Hungry for more Blue Prism World London details, visit the eBook from this second sold-out event. Also feel free to connect with me directly on Twitter @ShailKhiyara.